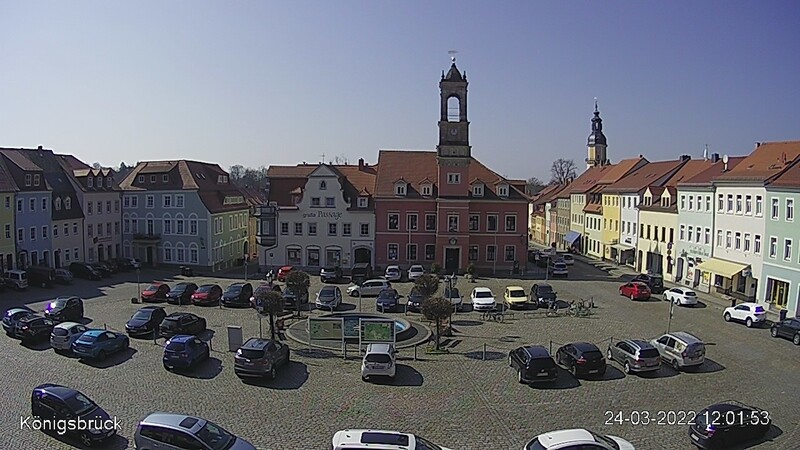 Webcam Königsbrück: Market Square - A view of the market square, Town Hall and Grafia-Passage. Pulsnitz: View of Pulsnitz, 7.3 mi. Kamenz: Kamenz Airfield, 8.5 mi. 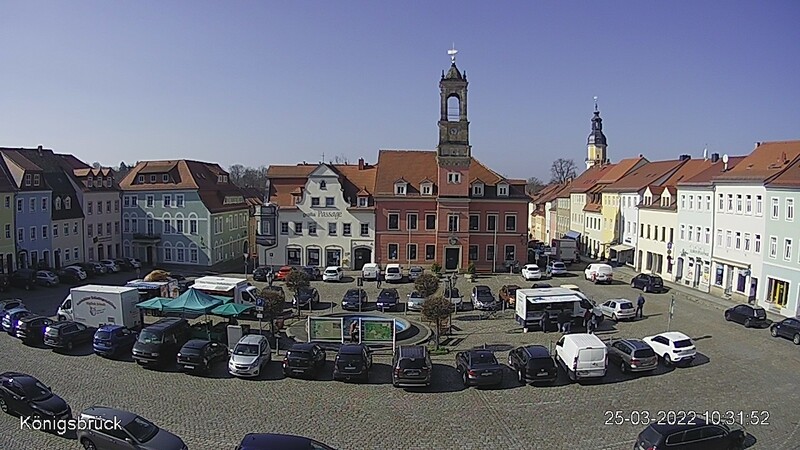 Elstra: Elstra Market Square, 10.3 mi. Hirschfeld (Brandenburg): Kaufhaus Bischof, 15 mi. Dresden: Panorama Old Town, 15.3 mi. Dresden: View over the Historic Center, 16 mi. Dresden: Dresden Old Town, 16.1 mi. Dresden: Dresden Neumarkt, 16.2 mi. 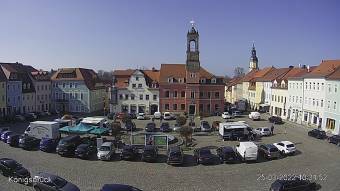 This webcam Königsbrück with the theme City Views was added on September 10, 2013 and is operated by Stadt Königsbrück. It got 2049 visitors since then. Shouldn't this webcam work or should the link be wrong please report that here. You can add this webcam here to myCams.